This chapter was just an all out brawl between Luffy and Katakuri. 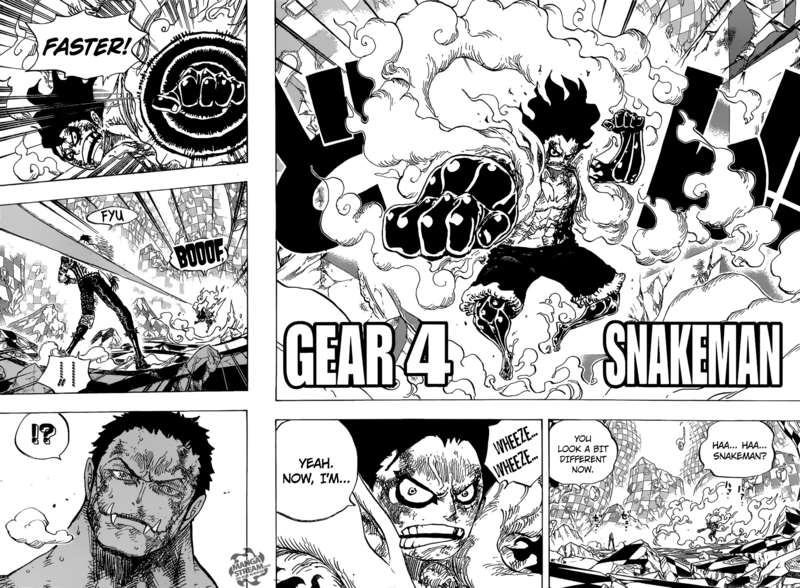 Luffy reveals his new form, “Snakeman.” At this point in the series Luffy has three forms of Gear Fourth, Bounceman, Tankman and now Snakeman. All forms share a similar appearance, featuring arm and legs coated in Busoshoku Haki, while emitting steam. With Bounceman Luffy becomes larger as his muscles increase, however, he can’t stand on the ground and bounces continuously. While in his “Tankman: Stuffed Version” form, Luffy appears similar to a sumo wrestler, his torso becomes infused with Busoshoku Haki, rounded and large. Luffy’s durability is increased dramatically. The compression based offensive ability of Bounceman is amplified. Snakeman doesn’t see Luffy physically get larger, except his forearms and legs get a little larger with Buso. Haki. His knuckles becomes similar to that of a leopards fist. Luffy gains the ability to use “Python” that was first introduced in his battle with Doflamingo. Python allows Luffy to change the direction of his attacks, Luffy attacks also move faster the longer they last and gives him the freedom to attack any area of his opponent. 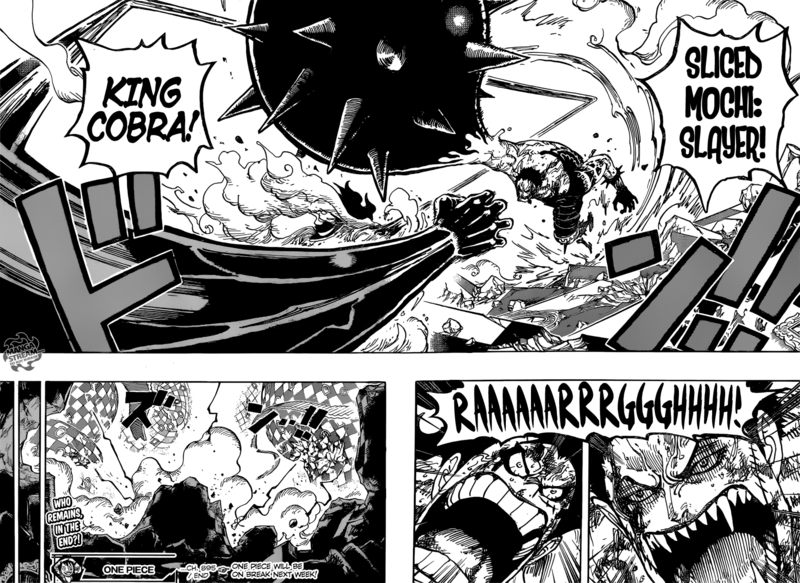 Snakeman permits Luffy to jump up high, but his defense is worst that his Tankman and Bounceman forms. Katakuri is at first confused by Luffy’s attack as he’s unable understand how he’s being it after dodging. However, he quickly learns why. This doesn’t matter as Luffy’s attack continues to increase it’s speed until contact. 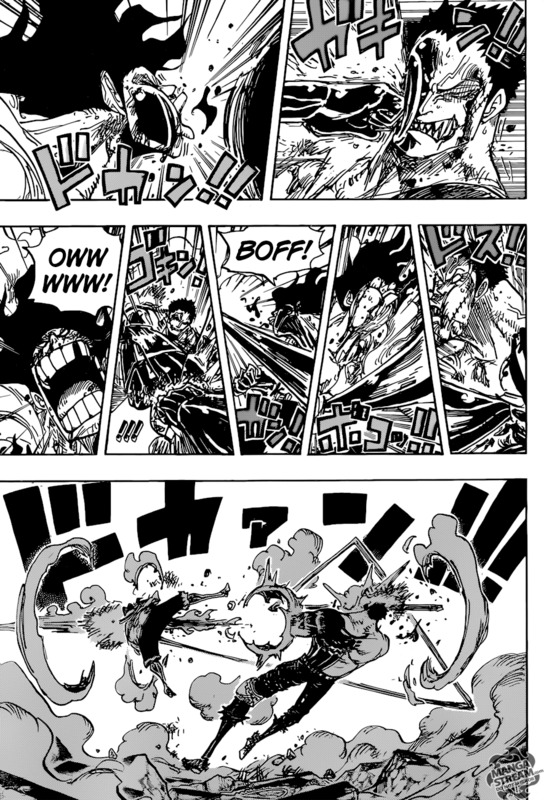 Luffy hit’s Katakuri with his Jet Culverin. Despite blocking it, Katakuri is knocked into the wall. He counters with his Sliced Mochi: Slayer, it’s a sticky attack due to the Mochi. He slams Luffy through the floor of the Mirro-world. He recovers and he and Katakuri go toe to toe, exchanging powerful blows. Luffy uses his Black Mamba attack, that uses a series of punches in all directions at high speeds. 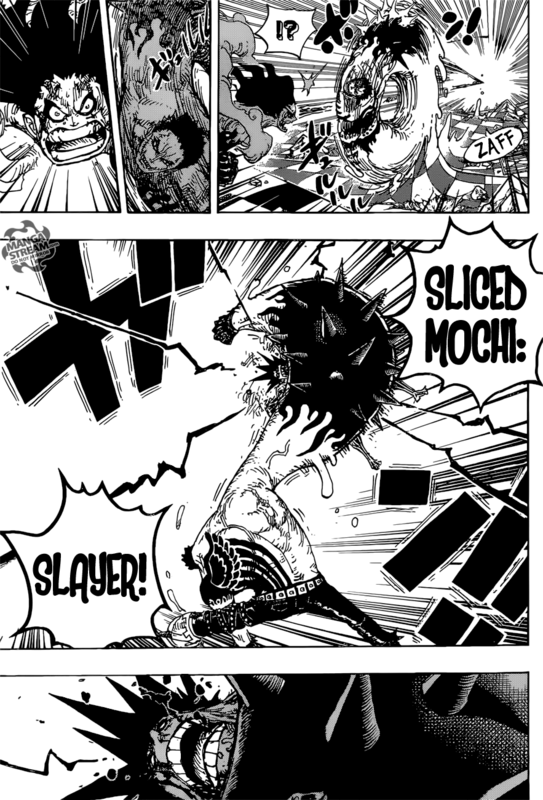 Katakuri manages to dodge and counter with another Sliced Mochi: Slayer, but Luffy decides to “end it,” with his King Cobra attack. Agreed and One Piece won’t be released next week either.